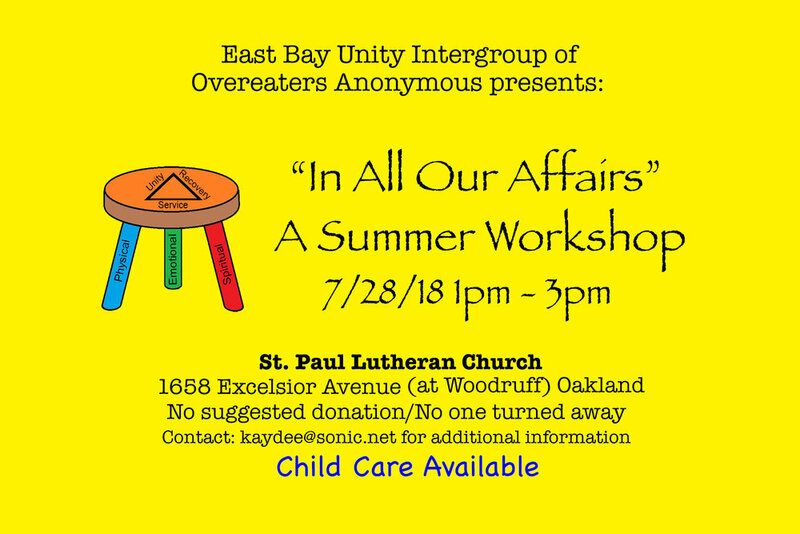 East Bay Unity Intergroup of OA presents a 2-hour workshop. Child care available. No suggested donation. Contact kaydee@sonic.net for additional information.